Posted on February 29, 2016 by Tom Richardson Posted in Phone Spy Apps Blog . 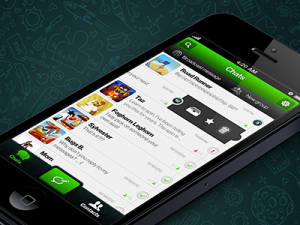 Nowadays such applications as WhatsApp become more popular, and many kids and grown-ups use this app for communication. Only their parents can teach them to use this app without any harm for their time, minds and lives. 1) Communicate with familiar people only. It means that you mustn’t exchange messages with strangers. The app can give your telephone number and other private information to the people you text. 2) Do not contact with strangers and answer their messages. Internet is not only the collection of useful information but the place for fraud and blackmail, especially toward to inexperienced children. That’s why you shouldn’t respond to strangers’ messages if you are not confident in their secure. 3) Get unknown numbers blocked. If there are some unknown people who insist on communicating or worry you, use the block function in option menu, and they will not be able to text you anymore. 4) Limit the access to your private information. Starting to use such applications as WhatsApp you should enter option menu and limit the list of people able to see your private info. 5) Limit usage of free wi-fi internet connection. Nowadays a lot of public places are equipped with free internet connect. And people often use it while spending their time there without thinking that it can not be safe. The information transferred in such open internet connection can be hacked. That’s why you should try not to use it without any great necessity. 6) Be careful with sending your private photos. If you want to send your private pictures, be sure that you’re really ready to show this or that photo to other people because it is possible that your photos will be used by someone else without your agreement. 7) Organize your spare time. It means that you shouldn’t spend all your free time just chatting in WhatsApp. It is more interesting and useful to communicate in real. Try to talk with real people, read more and expand your horizons in real life. You should know that WhatsApp can block you if you communicate too much and send too many messages to people which are not in the list of your contacts. 9) Keep in touch with your parents. The last and not the least important rule: if there are any hesitating moments in usage of WhatsApp and suspicious contacts, tell your parents about it, they can help you in any case. As a conclusion, children should be careful in using any IM apps. You, as a parent who is totally responsible for your child, his health and peace of mind, shouldn’t let him use such apps as WhatsApp unlimited. And if your child don’t obey you and refuse to follow these rules and guidelines, you always can install spying apps such as mSpy, FlexiSpy and other to see and control your child’s WhatsApp usage to prevent any troubles.